New Balance has had a resurgence over the past five years, with their sneakers being the focal point. With a desirable range of outdoor sporting apparel, it is no surprise New Balance is becoming the go to destination for the fashion conscious. 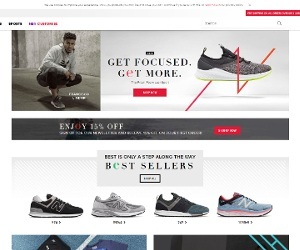 New Balance can be purchased any many multi brand retailers but from time to time New Balance’s own website has some great deals and discounts.